Many docks are created for recreation and for being able to enjoy the water. In situations of natural disaster, however, emergency management docks can mean the difference between saved lives or catastrophe. 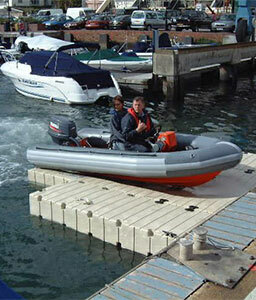 Why Purchase Emergency Relief Docks From EZ Dock? EZ Dock is already used around the nation in relief efforts and emergency management. If you are a municipality or official needing to prepare your area for the possibility of flooding, our deck systems are designed to help. EZ Dock offers a range of customizable options for emergencies. Our drive-on EZ BoatPorts® and EZ Ports® allow boaters and rescue operators to easily dock and get on the water, helping them get to emergencies faster. Our floating docks are ideal when you need to transport gear or people in an emergency, and our walkways can provide access in flooded areas. EZ Dock modular docks are designed to stand up to the challenge when it matters the most. Our products are made to be durable and weather-resistant so flooding, winds, rain and other severe weather systems will not slow rescuers down. Our emergency systems are specifically created to be able to handle severe weather systems so you can keep people safe. 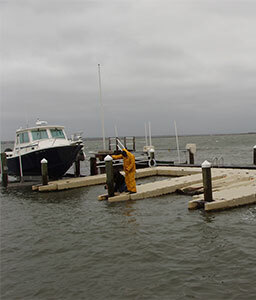 If you want to ensure you’re safe from extreme weather and other emergencies on the water, contact an EZ Dock dealer to talk about our emergency management docks and solutions.